Floorcloths are one of the earliest forms of floorcoverings, attaining great popularity in England in the 1700’s. Floorcloths, such as Heritage Village has in the Kemper and Elk Lick homes, are made of hemp, linen or cotton treated with an evaporating oil and paint to make them waterproof. Early records of the use of floorcloths in America include the probate inventories taken after the deaths of William Burnet (1688-1729) governor of Massachusetts, and Robert “King” Carter of Virginia (1663-1732). United States Presidents George Washington, Thomas Jefferson, and John Adams also owned floorcloths. Most of these early floorcloths were produced in England, as manufacture in America did not become common until about 1815. The practical advantages of a floorcloth were many: it was washable, waterproof, insulating, and durable. As a result, floorcloths were usually placed in hallways, parlors and dining rooms. The floorcloth can be viewed as both functional and beautiful, as it was decorated to resemble fine flooring of tiles, marble, and all kinds of carpeting. By the late 18th century, there was a wide range of colors and patterns for oilcloths, which included stencils, freehand painting and printing. Common patterns included simple diamond or square patterns and the more complex patterns derived from Persian or Turkish carpets. 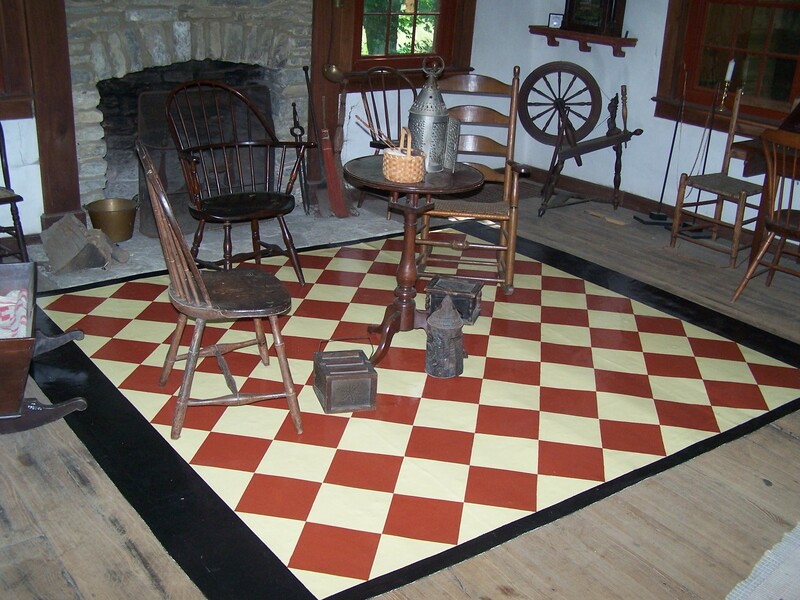 The floor oilcloth was the forerunner of linoleum, which came into popularity in the 1870’s. By 1900, linoleum had taken of over the market of oilcloths, although as late as 1909, the Sears, Roebuck and Company still offered two multi colored, geometric patterned oilcloths for sale. Floorcloths, oilcloths, and linoleums can be viewed, as other American Decorative Arts, as a reflection upon the patterns of the industrial growth and culture of America. Caskey Winkler, Gail and Roger W. Moss, Victorian Interior Decoration: American Interiors 1830-1900 (New York: Henry Holt & Co., 1986), 26-28. Seale, William, Recreating the Historic House Interior (Nashville: American Association for State and Local History, 1979), 77-78. Von Rosenstiel, Helene, American Rugs and Carpets: From the Seventeenth Century to Modern Times (New York: William Morrow & Co., 1978), 51-73. Most people associate the Fourth of July with the birth of our nation and Flag Day, celebrated on June 14th every year, barely gets a second look. Why do we have a special day commemorating the Flag and why June 14th? This is the design that became the Official United States Flag on June14th, 1777. Each star and stripe represented a Colony of which there were thirteen, united nearly one year earlier by the Declaration of Independence. The only President to serve under this flag was George Washington (1789-1797). This Flag was to last for a period of 18 years until stars were added for other states that entered the union. The idea of a day specifically celebrating the Flag is thought to have begun in 1885 by a school teacher in Wisconsin. The date of June 14th was chosen because it was the anniversary of the Flag Resolution of 1777, which was the official adoption of the American Flag design. The day became known as “Flag Birthday”, which eventually became Flag Day. The celebration of Flag Day spread and by the late 19th century, many communities throughout the United States were having ceremonies in the schools where children would carry a small Flag while patriotic songs were sung. On May 20, 1916, President Woodrow Wilson made a Proclamation establishing Flag Day on June 14th. Flag Day was celebrated in various communities for years after the proclamation, but it wasn’t until August 3, 1949 that National Flag Day was signed into law by President Harry Truman. This Flag became the Official United States Flag on May 1st, 1795. The 15-star, 15-stripe flag was authorized by the Flag Act of January 13, 1794, adding 2 stripes and 2 Stars. The two stars and stripes were added for the admission of Vermont and Kentucky into the union. This flag was the only U.S. Flag to have more than 13 stripes. It was immortalized by Francis Scott Key, when he wrote the poem The Star Spangled Banner, during the bombardment of Fort McHenry, Sept 13, 1814. This flag design lasted for 23 years, until 1818. Realizing that the addition of a new star and new stripe for each new State was impractical, Congress passed the Flag Act of 1818 which returned the flag design to 13 stripes and specified 20 stars for the now 20 states. Below is an excerpt from a booklet on Colonel John Riddle, one of the pioneers of Cincinnati, Ohio. The booklet was written by our Education Director, Steve Preston. Steve is also a Master of Arts Public History Candidate at Northern Kentucky University. The booklet can be purchased at the Heritage Village Museum gift shop. While performing routine conservation on one of the artifacts at Heritage Village Museum, an intriguing story about a figure in early Cincinnati history began to unfold. The artifact belongs to The Society of the Colonial Dames in Ohio. The “Colonial Dames” as they are locally known, are a national society dedicated to historic preservation and patriotism. They own the 1804 Kemper Log Home on site, as well as the Model 1773 Charleville Musket and other artifacts within the home. This musket, valuable as simply an antique firearm, has a priceless story to tell about its owner. 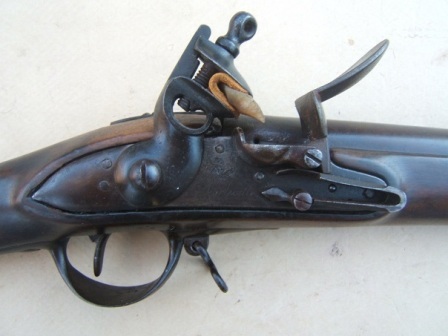 This Charleville Musket belonged to Colonel John Riddle. 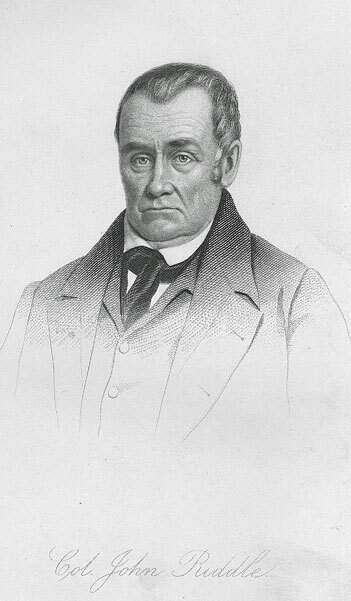 A native of New Jersey, he immigrated to Cincinnati in 1790. John Riddle’s story starts in New Jersey but it ends here in Cincinnati during its formative years. Riddle’s experiences in New Jersey prepared him for the harsh and primitive life he would experience in newly settled Southwest Ohio. Descendants of John Riddle had the forethought to preserve this musket for future generations, culminating in its donation to the Daughters of the American Revolution in the early 1900s. As ownership of the Kemper Log Home passed from the Daughters of the American Revolution to The National Society of the Colonial Dames of America in the state of Ohio in 1952, so did Riddle’s musket. Like all the artifacts on display in the Kemper Home, the musket’s owner has a unique and compelling story. The holiday of Christmas as we know it today did not get its start in America until around the 1820’s. At this time in history, we see more widespread gift giving and decorating. In the 1830’s we see the rise in popularity of the Christmas tree in the United States. As we begin to transition and think of our Village snow covered and quaint for the holidays, our thoughts turn to the fun times that can be had by all here. When we open our doors for “Holly Days” weekend, we have several activities planned for the whole family. These activities were carefully researched to maintain as much historical accuracy as possible. Those who would like to participate in our activities can go home with wonderful hand made Christmas décor. Hayner House will be the site for those who would like to create a Pine Cone Ornament. Pine cones are something that would have been readily available to early residents of Southwest Ohio. As Christmas decorations were made from common or scrap items, pine cones offer that perfect chance to create by hand a keepsake much as pioneers might have done. Join us at Elk Lick House where we will be making paper chains. The use of paper for Christmas decorations goes back centuries in Europe. As people and traditions found their way to America, so did paper decorations. Guests will have the opportunity to make paper garland or tree of their own. Benedict House is used often to discuss textiles. It is a fitting site for our yarn doll making. Early settlers often decorated their trees with many hand made items. Sometimes, even as today, the gifts were put in the tree. Yarn dolls would have served two purposes. They could be used as decoration but also as a simple toy for a lucky little girl. Come join us December 14 & 15 from 12 pm-4 pm, as we dress up the Village in her holiday finery and relive the celebration of Christmas through the eyes and activities of 19th Century Cincinnati. The Cincinnati Blanket Campaign of 1812. The situation of our country has compelled the Government to resort to precautionary measures of defense. In obedience to its call, 400 men have abandoned the comforts of domestic life and are here assembled in camp, at the distance of some hundred miles from home, prepared to protect our frontier from the awful effects of savage and of civilized warfare. But the unprecedented celerity with which they have moved precluded the possibility of properly equipping them. Many, very many of them, are destitute of blankets, and without those indispensible articles it will be impossible for them to move to their point of destination. Citizens of Cincinnati! This appeal is made to you, Let each family furnish one or more blankets, and the requisite number will be easily completed. It is not requested as a boon: the moment your blankets are delivered you shall receive the full value in money-they are not to be had at the stores. The season of the year is approaching when each family may, without inconvenience, part with one. Mother! Sisters! Wives!—Recollect that the men in whose favor this appeal is made, have connections as near and dear as any which can bind you to life. These they have voluntarily abandoned, trusting that the integrity and patriotism of their fellow-citizens will supply every requisite for themselves and their families and trusting that the same spirit which enabled their fathers to achieve their independence will enable their sons to defend it. To-morrow arrangements will be made for their reception, and the price paid. The call was met generously by the Cincinnati citizenry. This is one of the many ways in which Cincinnati contributed to the war effort during this second war for independence. More stories like this lie forgotten from Cincinnati’s history in the War of 1812. 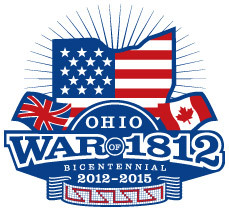 Join us November 9 at 10:00 am, at Heritage Village Museum, as we celebrate the bicentennial of the War of 1812. Presenting will be nationally published authors; Larry L. Nelson, Karo Tiro, and Mary Stockwell. They will be discussing the American, British, and Native American perspectives of the conflict that helped shape Cincinnati and the state of Ohio. 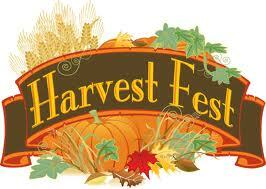 The gathering of the harvest has been celebrated for centuries around the world in the form of autumn festivals. Historically, harvest festivals are not a recent creation; for centuries, different cultures from the ancient Egyptians to Pagans in Europe, have celebrated the gathering of the harvest and given thanks for the food it provides. Depending on the country, the season and timing of the gathering of the harvest varies but traditionally harvest festival is associated with the months of autumn. A harvest festival celebrates the gathering of the harvest each year; each country celebrates at different times of the year because of the growing of different crops and plants. However, in the Northern hemisphere, the celebration of a harvest festival traditionally coincides with the Harvest Moon. Most often, the September full moon is the Harvest Moon, which is the full Moon that occurs closest to the autumn equinox. In two years out of three, the Harvest Moon comes in September, but in some years it occurs in October. At the peak of harvest, farmers can work late into the night by the light of this Moon. Usually the full Moon rises an average of 50 minutes later each night, but for the few nights around the Harvest Moon, the Moon seems to rise at nearly the same time each night: just 25 to 30 minutes later across the U.S., and only 10 to 20 minutes later for much of Canada and Europe. Corn, pumpkins, squash, beans, and wild rice are now ready for gathering.